Successfully Added Ulefone S10 Pro 4G Phablet - 5.7 inch, Android 8.1, 2G RAM 16G ROM, MT6739 Quad Core 1.3GHz - Gold to your Shopping Cart. 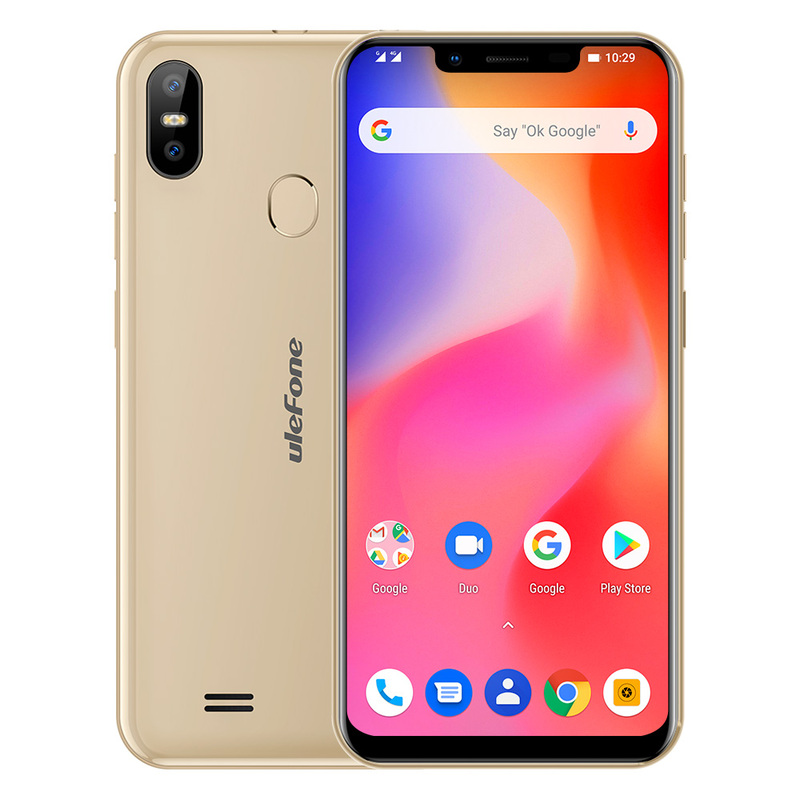 Ulefone S10 Pro 4G Phablet 5.7 inch large display for better visuals. Android 8.1 operating system, MT6739 Quad Core 1.3GHz for fast running performance. 2GB RAM + 16GB ROM plenty space, 16.0MP + 5.0MP dual rear camera to capture the precious moments for you. Face Unlock Technology, 3350mAh Built-in large battery for long time use for 1 charge. Features 5.7 inch display afford you a vivid and different visual experience. It comes with the most of the features we've come to expect from a phablet, including 2GB RAM and 16GB ROM storage equipped with Android 8.1 OS and 3350mAh big capacity battery that you can play games faster. Face unlock. More convenient and secure unlock way and also free your hands. Powerful 3350mAh battery. Enough juice for a whole day normal use on one single charge. Looking forward to delivering soon. Thanks, if I see Ok. Then I continue to order and introduce some friends to order from Chivanasion Shop.